I’m not the softest of girls. Typically, I wear all black and try as I might, I can never look too polished or put together. The unicorn craze, the multicoloured prismatic highlighters, and cotton candy pastels as pretty as they are didn’t make much of an impact. But I suppose I’m softening up! Leave it to tarte to come out with the most colourful and creative products! Lately, seeing as I’m more open to colour in my life, these seem a good fit. I love everything tarte is doing right now, and thank you to QVC for making a little bit of tarte available for us here in the UK. The bristles are the softest I’ve ever felt. Softer even than sigma brushes, and that’s a tall order! I expected a bit more weight to them, yet they’ve very light and feel somewhat like plastic. I think, considering how lovely this set is, a sturdier handle and a more luxe feel would have been a better fit. But that’s about the only half negative thing I could say. The set comes with a pink powder brush, a magenta contour brush, a purple liquid foundation brush, a blue shading eyeshadow brush, and a green blending brush. The annoying thing, and I’m so sorry, is that this set is sold out on QVC and Sephora! Did you manage to pick up a set? 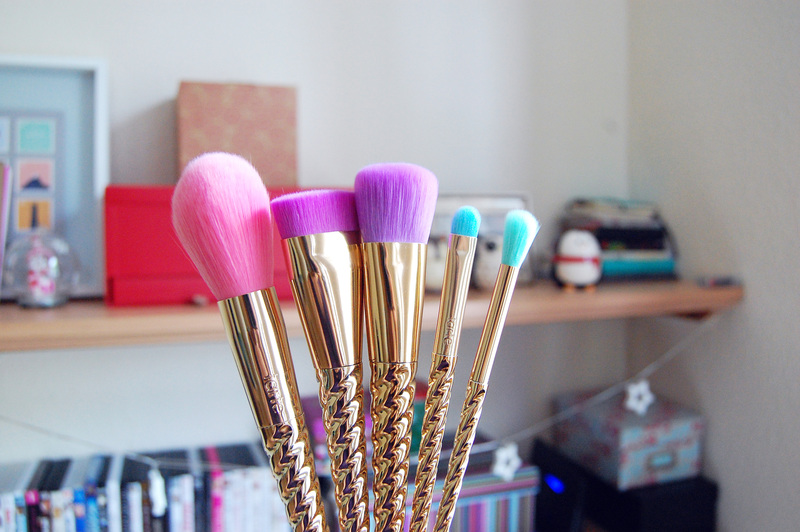 those brushes are SO DOPE! These look gorgeous! I really need to get my hands on some new brushes! I hope tarte releases a new brush range like this, because the bristles are insanely soft! And they can do us a favour and open shop here also. That's what I thought at first. I wasn't going to bother buying them but I was surprised at how great they are. I just wish the handles didn't feel so plastic. 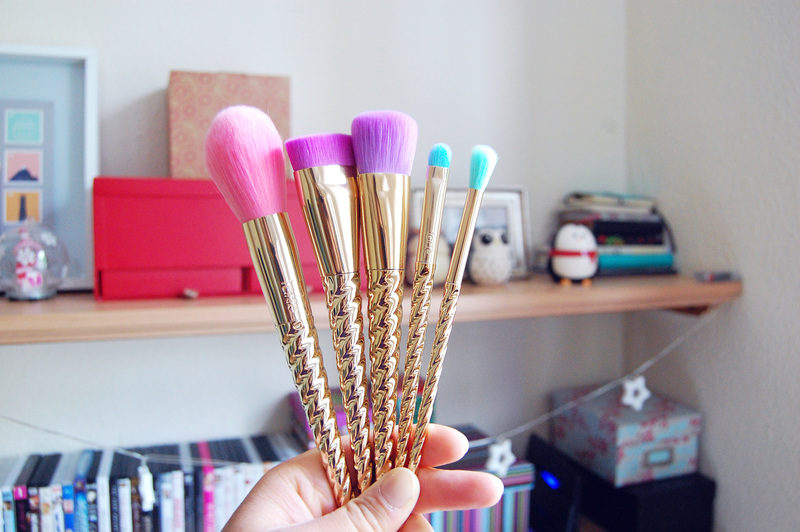 These brushes look like a fairytale!